Kendriya Vidyalaya, N F Railway, Rangia. 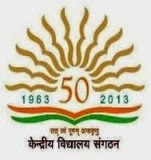 Applications are invited from Indian nationals for filling up of following faculty posts in Kendriya Vidyalaya, N F Railway, Rangia. Walk in date and time: 28.04.2015 at 09:00 am onwards.